Solution to dangerous pressure build up due to thermal expansion in liquid service. 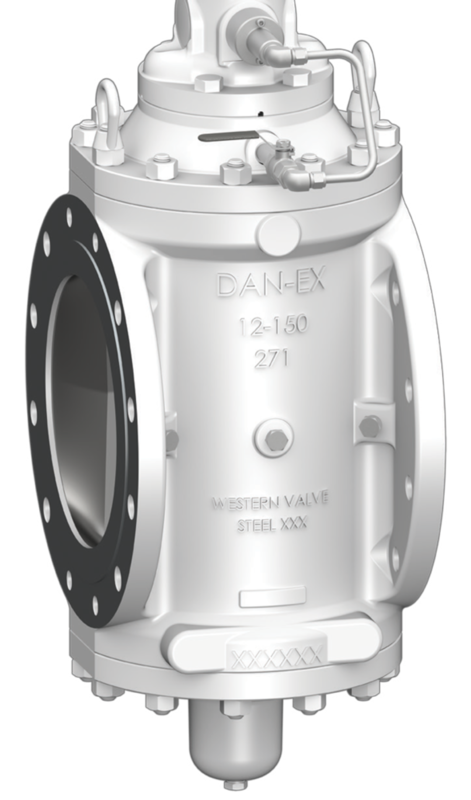 The DAN-EX Dual Expanding Plug Valve is designed to provide zero leakage. Therefore, in the closed position, the center cavity of the valve is subject to extreme pressures caused by solar or ambient temperature uctuations. In a liquid application, it is critical to protect the DAN-EX valve from this overpressure buildup prior to opening the valve. 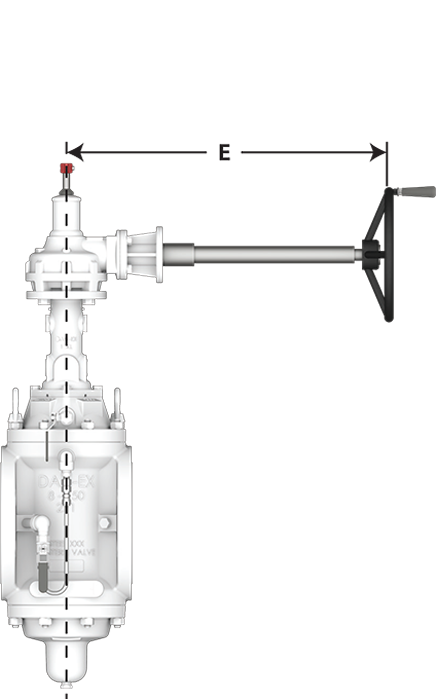 The Differential Thermal Relief system (DTR) accomplishes this task and is operational when the valve is in the closed position only. 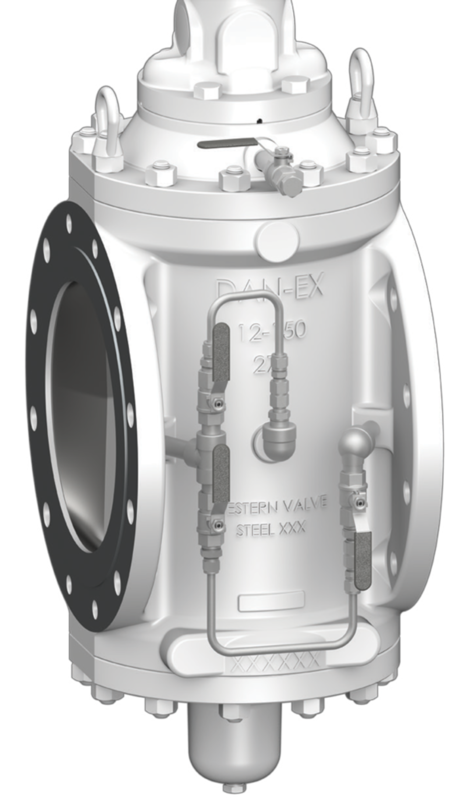 The standard relief is set to check at 25 PSI differential and will automatically relieve the body cavity pressure back to the upstream throat of the valve. The isolation valve located in the upstream throat is to be left in the open position for the system to function. This valve is closed only when the check valve needs to be replaced. Other check pressures are available upon request. 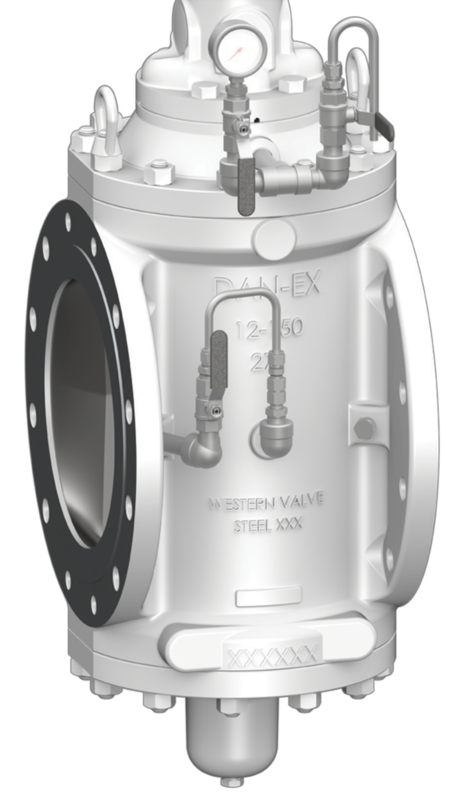 In addition, a manual body bleed valve is provided to check the seal integrity of the DAN-EX valve when closed. The manual body bleed valve must be closed prior to opening the DAN-EX valve. This system is to be considered standard in all applications both in manual and automated valves. Solution to seal verification without emission exposure to the atmosphere in a liquid service. This system functions as a standard DTR system with the addition of a gauge installed prior to the manual body bleed valve. In a liquid service, the gauge will indicate a drop in pressure due to slip expansion when closed which will prove seal integrity. Seal verification is achieved without bleeding media to the atmosphere or the need to discharge product into a sump system. Solution to piping over pressurization in a liquid service. This system performs the same function as the DTR system as well as protecting the piping system. 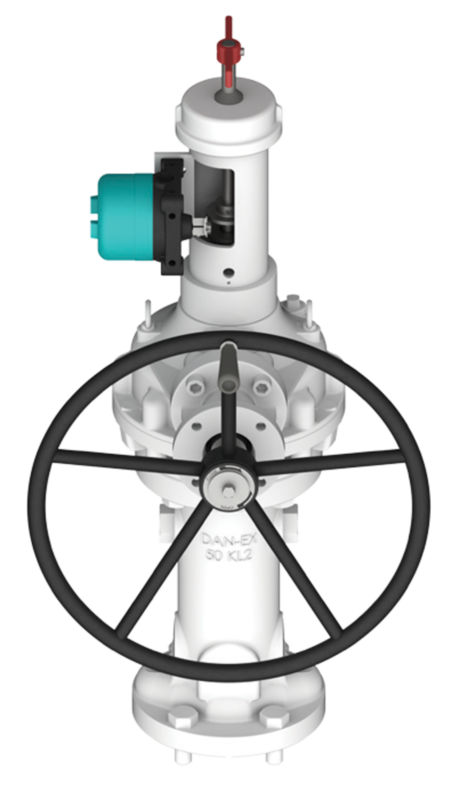 When the DAN-EX valve is closed, piping is subject to thermal pressure buildup. The check valve located at the downstream port will relieve to the upstream port once there is a differential of 25 PSI. 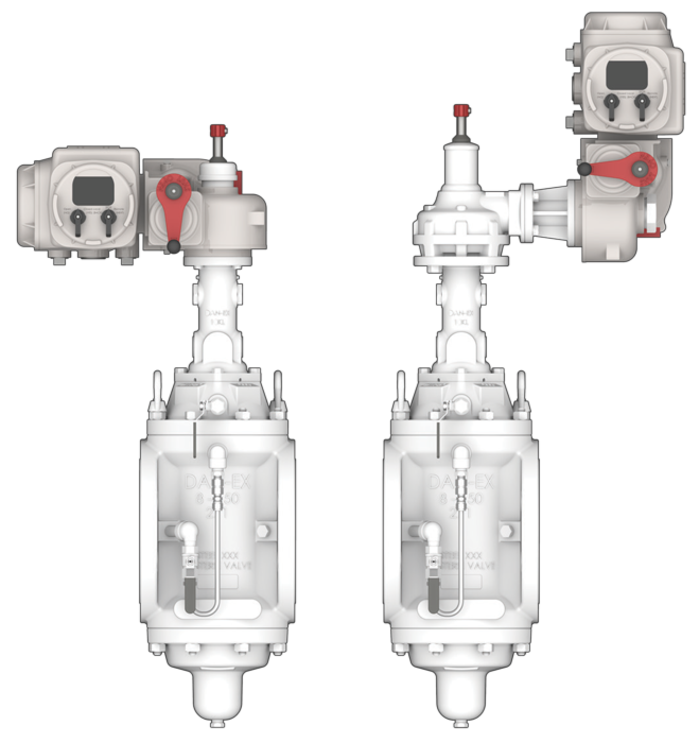 Extra isolation valves are included, to remain open, in the event a portion of the system requires replacement. While this system is available and functional, Western Valve strongly recommends traditional thermal protection to relieve pipeline pressures around valves whenever possible. Solution to automatic verification of seal integrity in a liquid service. This system automatically provides a seal integrity check when the DAN- EX valve is closed. In addition, thermal pressure buildups in the cavity are relieved. A plunger actuated check valve is opened by the cam as the DAN-EX valve is closed. When the DAN-EX valve is opened, the ABBV is automatically closed. Typical application includes installation of a sight glass between the discharge piping and sump. Note: discharge piping and sight glass is provided by others. Direct mounted (pictured on the left) to operator or side mounted (pictured on the right) through bevel gear for the majority of electric motor operators. Direct mounted actuation allows you to have faster closing speeds with lower RPM electric motor operators. Limit Switches provide open/closed valve position indication.